Our Firm is the annual retainer law firm of Bank of China Limited, Macau Branch and the Bank has invited our Firm to deliver a seminar in its premises in Macau on 7 March 2018 on various topics including lending to Hong Kong listed companies. Mr Philip Wong, Partner and the Head of our Commercial Department delivered the seminar to over 70 staff members of the Bank, explaining the different regulatory regime between a listed company and a bank in Hong Kong and discussing the various lending and corporate compliance requirements in Hong Kong and other relevant offshore jurisdictions. 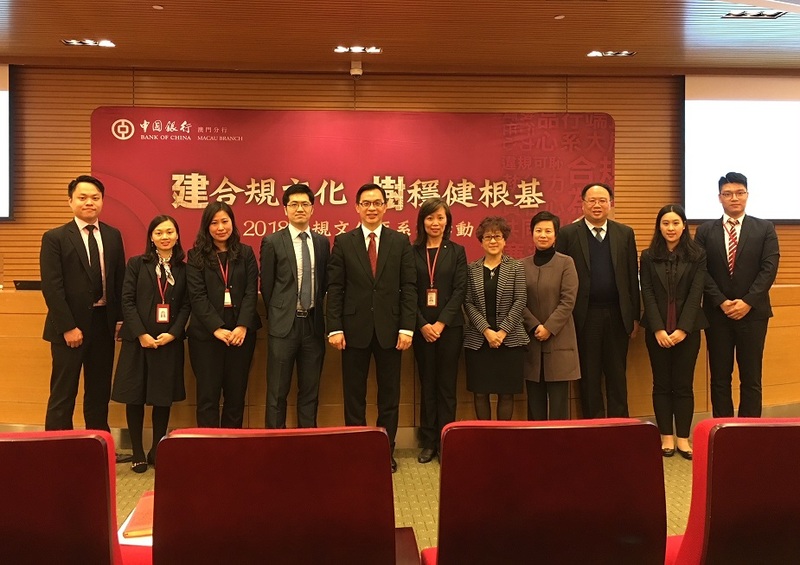 Our Managing Partner Ms Brenda Lee together with (amongst others) partners from our Litigation Department, Real Estate Department and Commercial Department also attended the seminar.